Jacob is a lucky kid! 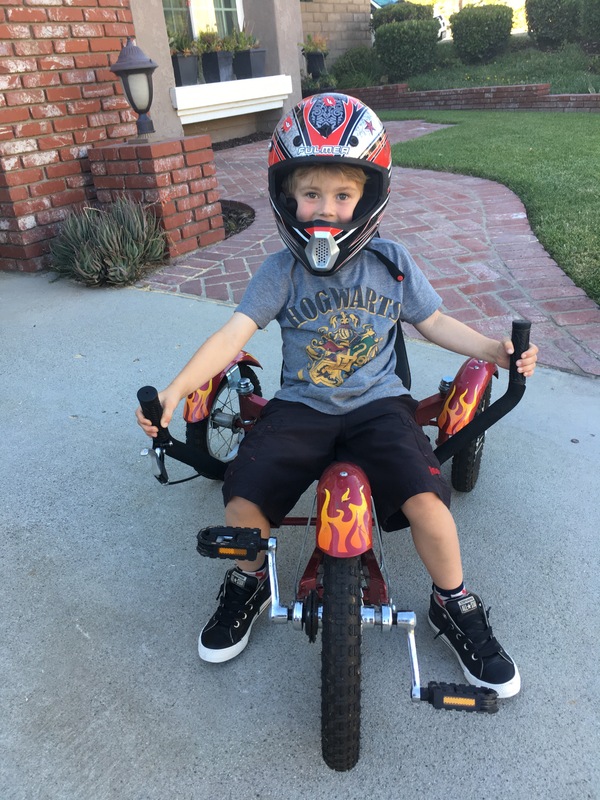 Cousin Kaden passed along this awesome three wheel bike and full face helmet, and jacob is in love. He is already a pro at riding this bike; steering around tight turns and skidding into small spaces. He is quite the sight! This entry was posted in Jacob stories and tagged 5.5, awesome, boy, five, fun, jacob, play, summer. Bookmark the permalink.